We have received a total of 326 applications. Out of these applications, 1 applicant has been rejected (the list is published above) and 325 applicants are invited to the written tests (162 on Saturday 15th DECEMBER 2018 and 163 on Sunday, 16th DECEMBER 2018). 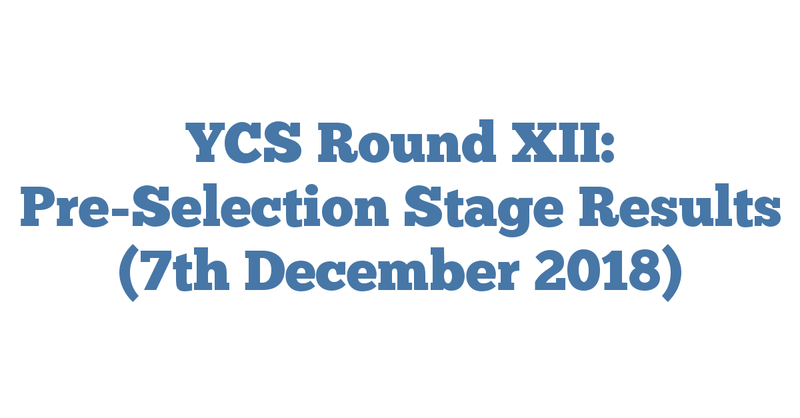 The rejected applicant presented a substantially incomplete application which was missing the YCS Round XII Application form, the fundamental document to assess for which sector the candidate applied for, confirming the will of the candidate to participate to the selection process accepting its rules and timeline and authorising the YCS Secretariat to process his files. The candidate whose application was rejected has time on Tuesday, 11th December from 11h00 to 16h00 to lodge motivated complaints for review of rejection decision. Complaints must be presented in person and in writing with a clear explanation of the reasons why the files should be reviewed. Complaints will be accepted only where and if there has been a material error on the side of the Pre-Selection Committee. Out of 325 applicants invited to the Written exams, 237 presented a complete application as required by the Rules of Procedure. The YCS Round XII Pre-selection Committee, taking into consideration the above numbers, instead of inviting only those 237 eligible applicants with complete applications, has decided to “conditionally invite” also the other 88 applicants who presented “formally incomplete” applications in order not to reduce the number of scholarships available (see YCS RXII Rules of Procedure, pages 20-22). The 88 “conditionally invited” applicants who have presented applications that are formally not complete are required to complete their applications from Monday, 17th December 2018 to Friday, 4th January 2019 at 17h00 by bringing to the YCS office in British Council Building the missing documents. Therefore, these 88 applicants are “conditionally” invited to the written exams. The “condition”is that these applicants have to formally complete their application by Friday,4th January 2019 at 17h00. In case they would fail to complete their applications by the set deadline, and even though they would sit the written exams, their application will be rejected and the results of their written exams not revealed and not taken into consideration even if they pass the English language threshold. In almost all cases the application is incomplete because the copies of the Transcripts(which were required from ALL applicants) have not been enclosed as originals or as certified copies. If you are one of these 88 applicants you will receive a separate email requiring the missing documents and explaining which documents need to be produced. Even if these 88 applicants are invited to the written exams it does not mean that their written exam will be taken into consideration if their application will not be completed on time. These 88 “conditionally invited” applicants must complete their application by 4th January 2019 at 17h00 otherwise they will be rejected and eliminated from the Selection, no matter the results of the written exams. Finally, we stress that the tables with the results of pre-selection phase are already divided by sector and, even if all candidates will undergo the same written exams, we remind here that the competition is not between sectors but within each sector. Therefore there will be three separate rankings when the results of written results will be made public. These are suggestions on how to prepare for the RXII Written Exams. These suggestions have been published in the Rules of Procedure since the 12th November 2018 and we wish to draw applicants’ attention to them once more. All exams are multiple choice papers, with 4 possible answers for each questions and only one correct answer. English Knowledge exams: it will be composed of 3 parts, as described in the Rules of Procedure (Listening, Reading and Structures & Written Expression). We strongly advise you over the next week to be exposed to English language as much as possible (read books and newspapers in English, review your grammar knowledge, and try to listen as much as possible to broadcasts in English – radio, news, movies, entertainments,etc.). Use every possible opportunity you may have to practice your skills in this language. The time for this test will be of ca. 3h00 minutes (in 3 different parts) and you will not be allowed to leave the room during the whole of the test. If you finish the individual parts before others you will be required to stay at your place quietly. Verbal and Numerical Reasoning: This exam requires you to read and to understand several short paragraphs in English. For each paragraph you will have then to answer 2 to 4 multiple-choice questions related to the contents of the specific paragraph. The questions will require from you to elaborate and work with the information contained in the specific paragraph in order to find the right answers. You do not need prior knowledge of any kind for this test. You only need to use your logical reasoning with both words and numbers. The exam has 2 parts, one “Verbal Reasoning”and one “Numerical reasoning”. In the “Verbal reasoning” part (25 questions) you will need to reason on the wording of the paragraphs in order to provide the correct answers. In the “Numerical reasoning” (15 questions) instead you will have to reason on numbers,ratios (hence fractions) and percentages, and you will be required to make elementary operations (additions, subtractions, multiplications, divisions and percentages). The use of a calculator will not be allowed for the test as the numerical operations required to answer the questions are very simple. Use your logic skills and remember that on this exam correct time management is crucial.You will have a maximum of 1h30 min., which means less than 2 and half minutes per question as there are 40 questions. Do not exceed the time for each question. The best way to prepare yourself for this test is to search on the internet for this kind of exams, and practice similar tests a few times until you feel comfortable. EU General Knowledge exam: the exam consists of 80 questions and you will have 1h30 min for this test. Prepare yourself on the following chapters of the “Facts Sheets on the EU”(July 2014 online edition), by the European Parliament: Part 1, HOW THE EUROPEAN UNION WORKS, (ca. 30 questions are taken from this chapter); Part 3, THE INTERNAL MARKET, (ca. 20 questions are taken from this chapter); Part 4, ECONOMIC AND MONETARY UNION (ca. 10 questions are taken form this chapter); Part 6, THE EU’S EXTERNAL RELATIONS (ca. 20 questions are taken from this chapter). This document can be downloaded from our YCS website at https://ycskosovo.eu/wp-content/uploads/2018/11/Fact-sheets-on-the-EU_latest-edition.pdf (please be aware that this is a 6.4 MB file) or from the official website of the EU at https://publications.europa.eu/en/publication-detail/-/publication/ce72e773-2daa-4638-ac38-5c7b9bf04c85/language-en. Questions for the EU General Knowledge test have been drew only from this material, therefore if you study well the suggested document you will not have problems with this test. Written exams start at 9.00 am sharp, and registration for the day starts at 08h00 sharp. Our strong advise is to be present at 08.00 am not later. No applicants will be admitted to the exams after the doors will be closed, no matter individual circumstances. The project will ensure all the needed stationery, including pens and scrap paper, during the whole duration of written exams. We inform you as well that the project will not provide drinking water to participants, so we strongly advise you to take a bottle with you for each session (morning and afternoon) and to organize yourself accordingly. We need to stress that it will not be possible to exit from the building to buy water after the exams started. You must bring with you a Valid ID or Passport. Driving licenses alone are NOT accepted as Valid ID. 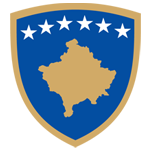 Valid ID are the following:Valid Kosovo passport or Valid ID cards issued by Kosovo Authorities or valid proof of residency in Kosovo (together with a document showing your picture). Applicants are required to be inside the room 5 minutes before the start of each test. If you arrive after the doors have been closed you will not be admitted to the test and will therefore be excluded from the selections.